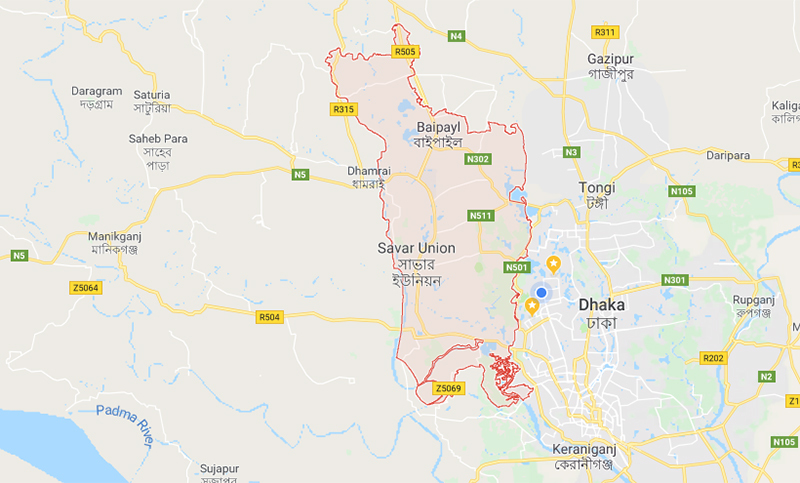 A vegetable seller was hacked to death by some miscreants in Savar, on the outskirts of the capital Dhaka. The deceased was identified as Mohsin Khan,24, a vegetable seller and also son of Siraz Khan of Pandhoa area under Ashulia. The inident took place near Chowrongi Market of Savar Bus Stand around 8:00pm on Sunday night. Pedestrians rescued him(Mohsin) in critical state and took him to Savar Enam Medical College and Hospital. But the doctors of the hospital declared him dead, said Abid Hossain, Sub-inspector of Savar Model Police Station.